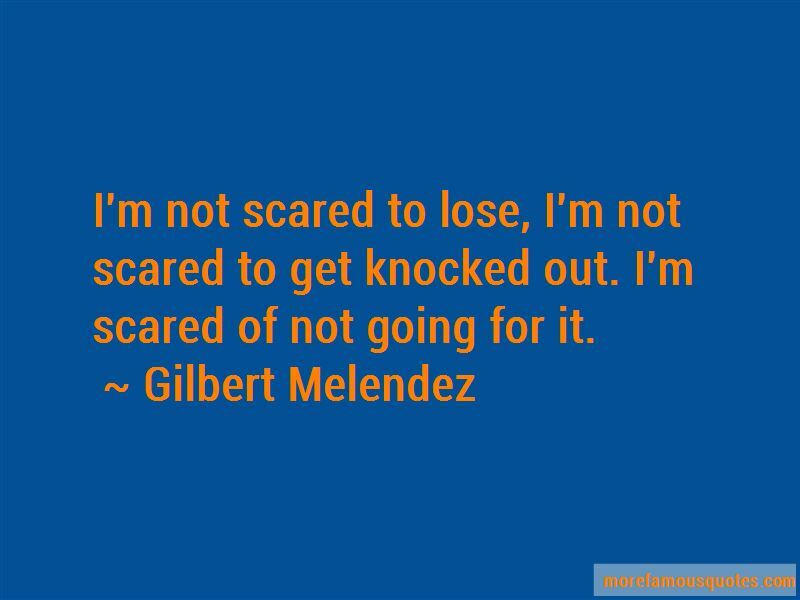 Enjoy the top 6 famous quotes, sayings and quotations by Gilbert Melendez. 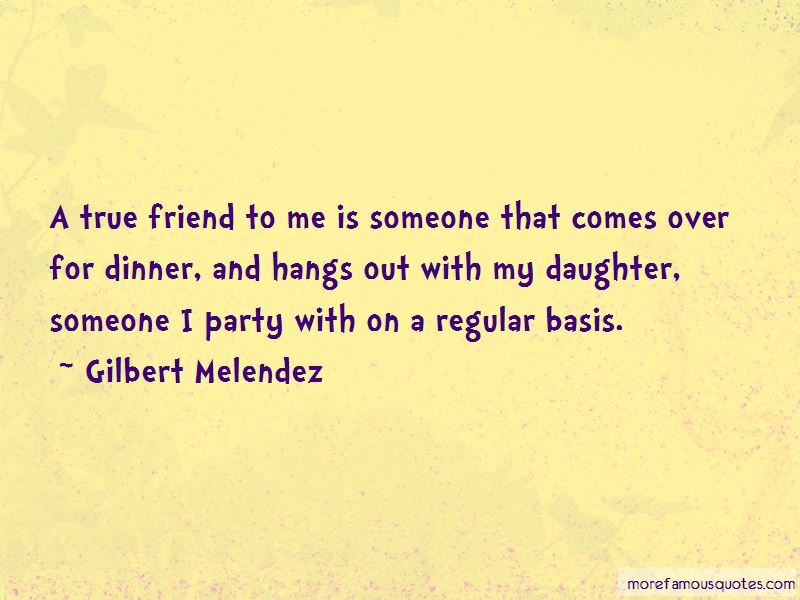 A true friend to me is someone that comes over for dinner, and hangs out with my daughter, someone I party with on a regular basis. U.S. wrestling is more of a scrambling style where guys take a lot of risks. You could watch a match in the states and see a score of 18-12. There is going to be a lot of action, transitions and guys going back and forth and trading points. The Russians are a little stronger, but they excel at the basics. 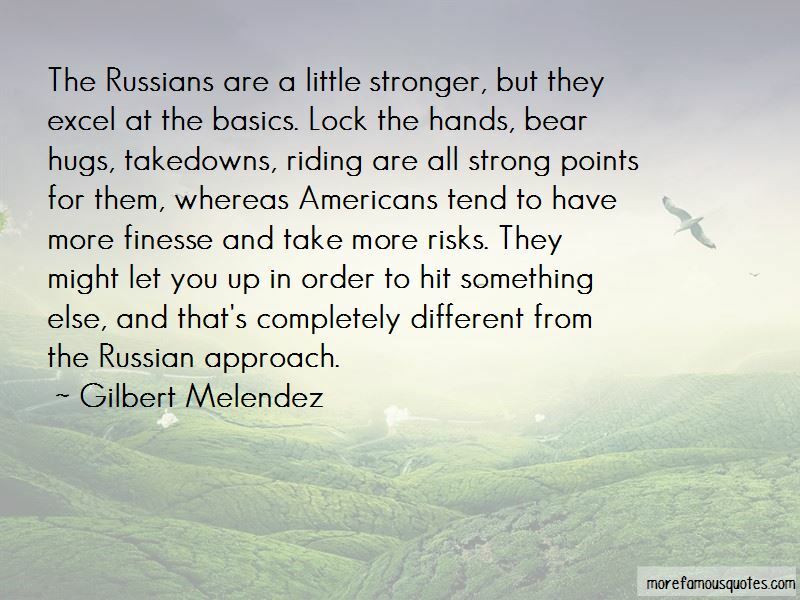 Lock the hands, bear hugs, takedowns, riding are all strong points for them, whereas Americans tend to have more finesse and take more risks. They might let you up in order to hit something else, and that's completely different from the Russian approach. 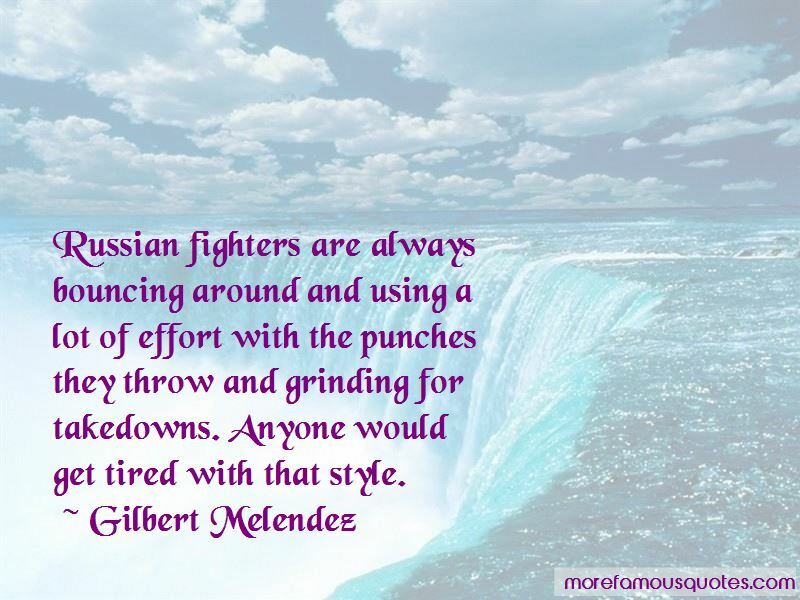 Want to see more pictures of Gilbert Melendez quotes? Click on image of Gilbert Melendez quotes to view full size.